The Plantronics SupraPlus™ headset family brings new standards in all-day comfort and reliability to telephone professionals. Enhanced receive-side audio quality, intelligent flexible boom and stylish design provide greater headset flexibility. The SupraPlus P261 features dual earpieces with foam ear cushions to block out background noise and the Plantronics voice tube. 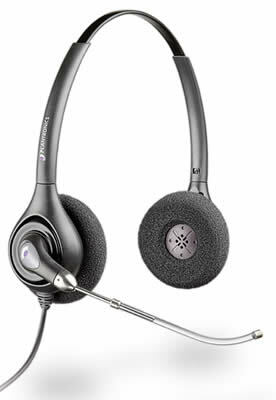 This headset is made for telephones that provide built-in amplification, such as Nortel's Norstar business phones. Note: This model is also available with a noise canceling microphone.